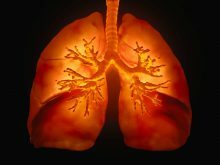 Our eyes, ears, and nose are our connection to the world around us, and a number of health conditions can compromise our ability to see, hear, and smell. Treatments range from medications and assistive devices to surgery. For instance, hearing loss is a common affliction with age. Yet ringing in the ears, called tinnitus, can affect people of all ages. Damage to the inner ear produces the sound, which can range from ringing to buzzing or hissing. Treating the underlying medical condition that’s causing the sound can often make it go away. Vertigo is a dizzying, spinning sensation. Though it has nothing to do with hearing, vertigo is caused by damage to the inner ear. The condition is triggered when calcium carbonate crystals move into the fluid-filled chambers of the inner ear—the part of the ear that keeps us upright, balanced, and oriented. 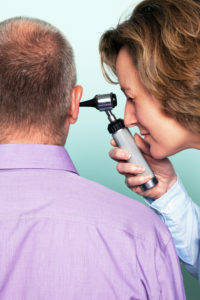 Vertigo treatment often involves a technique called canalith repositioning maneuvers, in which the doctor moves the head into different positions to move the crystals into an area of the ear where they won’t cause symptoms. By age 80, nearly everyone will have developed cataracts, a clouding of the eye’s clear lens. This clouding is what causes cataract symptoms like blurred vision, trouble with night vision, and halos around lights. 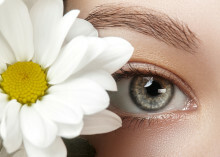 Removing the cataracts with surgery can correct the problem and restore clear vision. Glaucoma is another common vision problem that affects older adults. In glaucoma, a buildup of pressure inside the eye damages the optic nerve and can eventually cause blindness. Looking for glaucoma symptoms alone won’t always catch the disease in time, because the condition often causes no pain or vision loss until the damage is already significant. That’s why early detection with dilated eye exams and measurement of pressure inside the eye are important. An estimated 16 million doctor visits each year are due to sinus problems, including sinus infection. 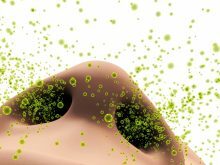 The sinuses are the spaces behind the nose and eyes, and they can become breeding grounds for bacteria. 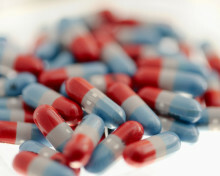 Antibiotics can clear up a sinus infection, while decongestants relieve the congestion it causes. Eating for Eyesight: Which Foods Protect Your Eyes? Can what you eat affect your eyesight? And which foods protect your eyes? Research shows that three particular carotenoids, each of them antioxidant and anti-inflammatory compounds, play a role in good vision: lutein, zeaxanthin, and astaxanthin.